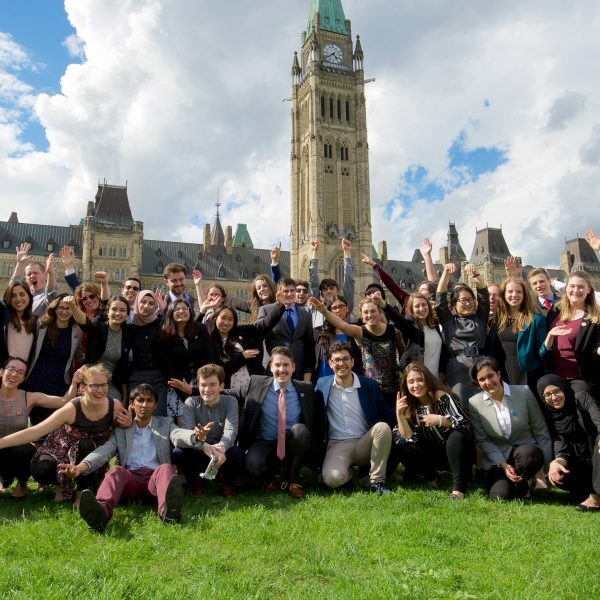 Last week, our 2019 Kumvana Fellows completed their five-week leadership training and networking program in Canada. 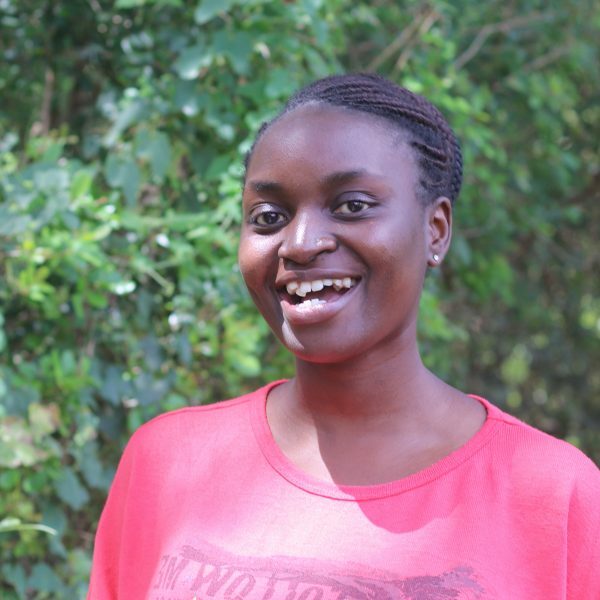 On the night of their graduation, we interviewed Fiona Otieno, a Kumvana Fellow from Kenya. Fiona, could you introduce yourself to our community? Sure! I am passionate about promoting access to quality education among marginalized communities in Kenya, and have been involved in that for the last four years. Currently, I work at M-Shule, an education technology company that offers personalized learning to elementary school students via text in Kenya. I’m the customer experience lead, which means I am in charge of M-Shule’s relationships with the many schools we partner with through our platform. My team and I introduce M-Shule’s education tools to students, parents and teachers, and train them on its application. We ensure each individual is familiar with the value the tools offer and the additional support we provide to advance learning. Before M-Shule, I worked for a non-profit called PaceMaker International, also in the education sector. Pace deploys volunteers, usually recent graduates from high school, to work as teaching assistants in public and private schools in rural and slum areas of Kenya, to support with the big student to teacher ratio. Some classrooms have about 90 students being taught by one teacher. In my role at Pace, I was in charge of about 120 volunteers in schools across Kenya. When I began to research the program and learned the program included four weeks of training in Canada, I remember my first response: “I’m not doing that!” But I’m so glad I changed my mind. It’s been life-changing. What motivated you to apply for Kumvana? The opportunity was shared with me by M-Shule’s co-founder, Claire Mongeau, and one of M-Shule’s EWB Fellows, Amrita Kalsi. When I began to research the program and learned the program included four weeks of training in Canada, I remember my first response: “I’m not doing that!” But I’m so glad I changed my mind. It’s been life-changing. What specifically, if anything, were you looking to develop in terms of your career? I find I am a natural leader, always taking on these kinds of opportunities. At the same time, I need more structure to my development to ensure there is efficiency in terms of what I am doing, and hence magnify impact for whatever change I am seeking or whatever cause I want to lead. For me to come to Canada and be vague or general and not dive deep into something like this, it would not be effective. I wanted to get insight into areas related to what I am doing right now, and the knowledge that I will be able to use throughout my career. 1. Learning about the structures I need to carry out the implementation of change. To be specific, I have worked in the NGO space and worked in a social enterprise. Both of these experiences were innovating around almost the same problem of access to quality education. What I saw at both Pace and M-Shule is you can have amazing ideas but if you don’t have the expertise of how to consistently implement these innovations, or iterate and have solid data around what works or what does not work, you cannot magnify impact. For example, in my role at M-Shule, I need to have the right plan for how I will be able to go from having 6,000 students to having hundreds of thousands of students on the platform. How do we scale this efficiently so we can carry out quality impact? 2. Being exposed to women who are great leaders in Canada. I’ve always had the desire to “break the glass ceiling” so I want to hear the different stories of successful women. 3. Learning about customer experience. 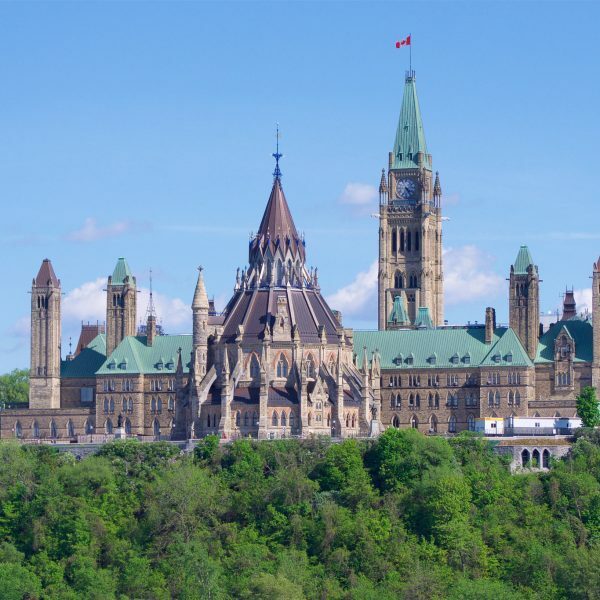 This is specific to M-Shule, but I want to know what has worked for Canadian companies. What can I replicate in Kenya? What is automated? What is not automated? Who did you meet with in Canada? I had the privilege of meeting leaders of various organizations in Toronto, Waterloo and Ottawa. The main focus for me was to expose myself to industry leaders who would give me insight into the areas I need to grow in order to ensure that M-Shule is creating sustainable impact and is ready to scale across Africa. These women showed me the true essence of leaning in and inspired me to create spaces of inclusion back in Nairobi. I met leaders in tech companies like Shopify, Kiite, Tech 4 Good, and Rebel. I also connected with companies in the education ecosystem like Desire 2 Learn and Chalk. I met had a number incubators and accelerators like Velocity, Invest Ottawa and Accelerator Centre. What really stood out for me was meeting women in leadership. These were like Donna Litt (Co-founder and COO at Kiite), Geeta Sheker (Director, Initiative for Women in Business, Rotman School of Business), Ivy Lee Gregory (VP, Marketing communication at D2L) and Tammy Singh (COO Inkbox). These women showed me the true essence of leaning in and inspired me to create spaces of inclusion back in Nairobi. It is profound that within five weeks I have been able to connect with individuals and organizations that want to collaborate to support in amplifying the impact of M-Shule. Where do you see opportunity to practice what you learned through your Kumvana Fellowship? In my position at M-Shule, I will be able to use the training that I received during my stay in Canada to influence the work culture. Simply within these first two weeks of training, I have been able to put my leadership training into action with my team at M-Shule. As a result of the experiential learning sessions, I learned how I can influence others in inclusion, coaching and mentorship. Organizational visits also helped me come up with solutions for how to motivate my team at M-Shule and get them to own the vision of the company. The minute I heard and learned those skills, I translated those learnings to work for my team. I had a call with my team while I was in Canada to celebrate their recent wins, and I received an email from one of my direct reports saying how motivated she was. Engaging with them in this positive way led to us co-creating our strategy for March. Learning to work well with my team and be a good leader was one of my goals, and already I can celebrate a small win and see how it will have direct influence in the lives of the students. How has the Fellowship impacted your understanding of customer engagement? What will that mean for M-Shule? M-Shule is a student-centric social enterprise. We’re all about ensuring students like what we build, can develop a habit around, and receive high-quality lessons. To succeed for students, we also need to deliver a valuable experience for teachers and parents who will help shape the impact of our products. Teachers play an important role in supporting students at school, and parents, while often overlooked as an important stakeholder, they are the gatekeepers to these tools at home. So in my role, I need to ensure M-Shule’s products are not only designed for students, but also parents and teachers. My attention is on how to effectively track and monitor the things we do. Tracking and monitoring is challenging with a small team, and is one of the pain points I had the chance to address during my training in Canada. Right now, I’m running a team of five people with about 7,000 students on the platform, but M-Shule could grow to have half a million students or more on the platform. Every other day I think about what that would mean for my team. How can we efficiently scale engagement with all of the customers and stakeholders? The skills and leadership training I’ve received here have improved my approach to management, and advanced my understanding of what M-Shule needs to reach the next frontier of customer engagement. Through Kumvana, I discovered the concept of agile management; strategies and tools to coach and mentor my team to experiment, learn and reiterate as fast as possible. This will be an invaluable asset for M-Shule as we scale. What do you think of the Kumvana Fellowship as a professional development opportunity for Kenyans? I know people that have gone through the YALI (Young African Leadership Initiative) Fellowship and have seen the impact it has had on them. Fellowships give you that extra fire in your belly because you meet with other people like you and see the amazing things people are doing. They give you the skills you need to progress, and this program is all about learning and creates that structure to grow in your career and passions. Kumvana has been immensely valuable in providing a platform for like-minded people to come together. Each of us coming from different experiences and parts of East and West Africa, we had an opportunity to come together, share the challenges we’ve had, and consider the opportunities each of us has in front of us as innovators. The mentorship and connection catalyzed much of the growth realized in these two weeks. Kumvana also lead to many revealing moments. We realized that the discussions that empowered us to challenge the status quo during this Fellowship need to happen more often back home and in a similar spirit with more like-minded people. We need to ask ourselves what we are doing with the problems we have in different African countries. In some ways, we need to get off Skype and WhatsApp and all those social interaction tools and bring our physical selves together to achieve more. Support African leaders like Fiona with a donation to EWB’s Kumvana Fellowship program.